Randy Boswell currently serves as President for Energex Tube. 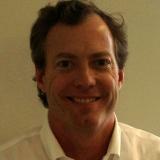 Mr. Boswell is responsible for sales, marketing, and operations relating to energy products (OCTG & Line Pipe). He is also responsible for sales forecasting and plan development. Previously, Mr. Boswell held the position of Vice President, North American Sales for Atlas Tube. In this capacity he was responsible for sales of HSS and Atlas pipe products. During his tenure in this position, Atlas acquired Maverick Tube's and Copperweld's HSS business, and Mr. Boswell was actively involved in merging three customer service and sales forces into one HSS sales group. Mr. Boswell began his 21 years in the pipe and tube industry working in the sales function at Tube & Steel Company of America, a division of Titan Industrial. Mr. Boswell was born and raised in Tampa, Florida and he received his bachelor's degree in systems engineering from the University of Pennsylvania. Who’s the Real Threat to American Jobs in the Oil & Gas Industry?